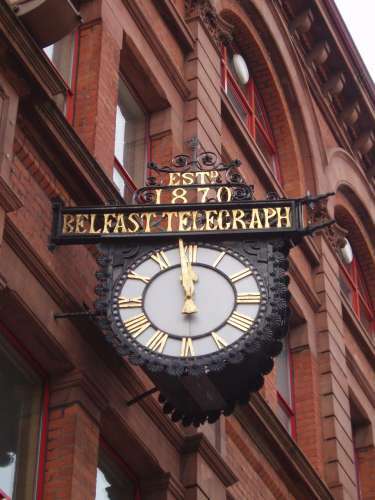 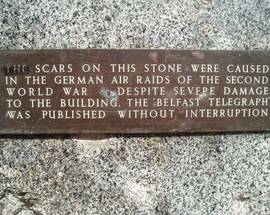 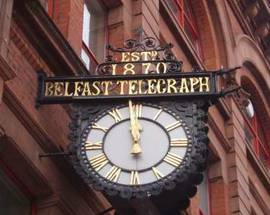 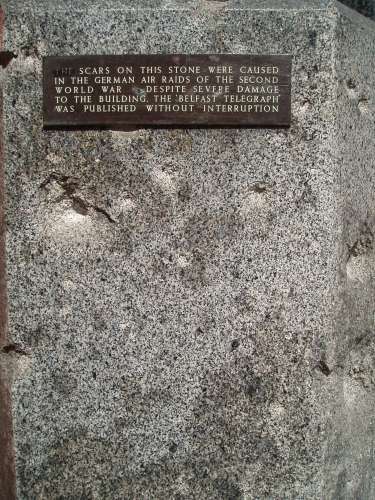 On the corner of the Belfast Telegraph building, a small section of pockmarked stone provides a tangible reminder of the 1941 Belfast Blitz. 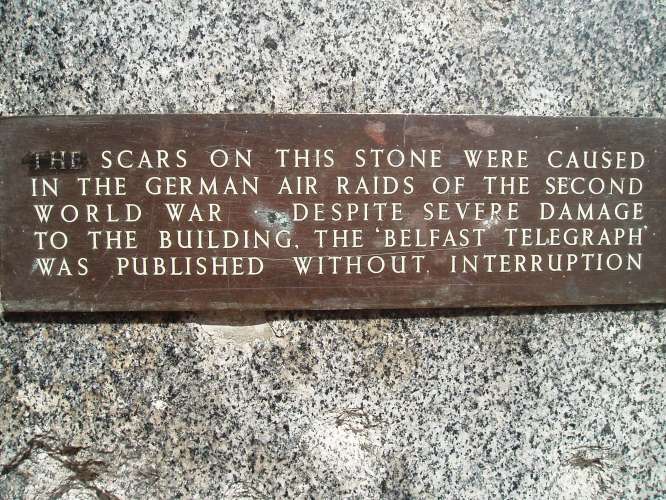 Over 100 German Luftwaffe planes bombarded the unprepared city on April 15, killing 900 people and injuring a further 2,500. 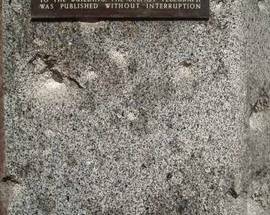 A lone plaque on the stone tells how the newspaper published 'without interruption'.